Whilst oxen were widely used as motive power in the woods before steam came along horses were also used as these pics attest. Click on a pic to see it full size. 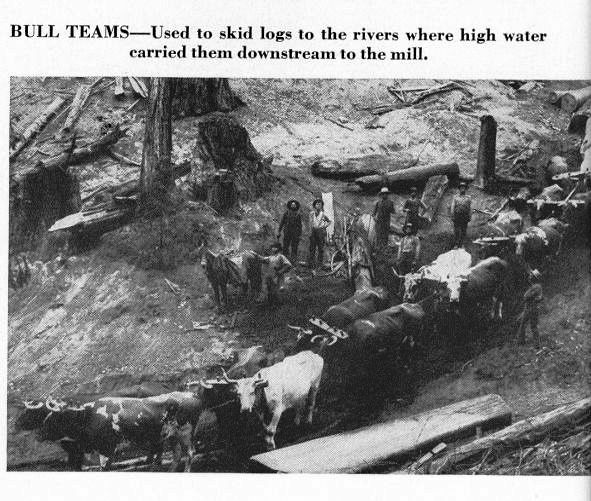 Our website has a pretty good section on the use of oxen as the motive power for getting logs to the mill – see here. 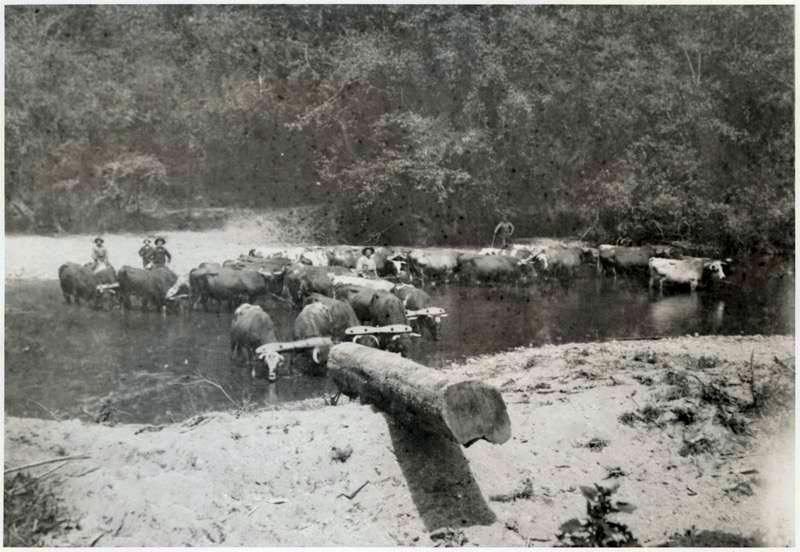 There is also a good set of pictures of oxen working in this blog – see here. Before steam came into the woods men, horses and oxen were what got the logs to the mill. 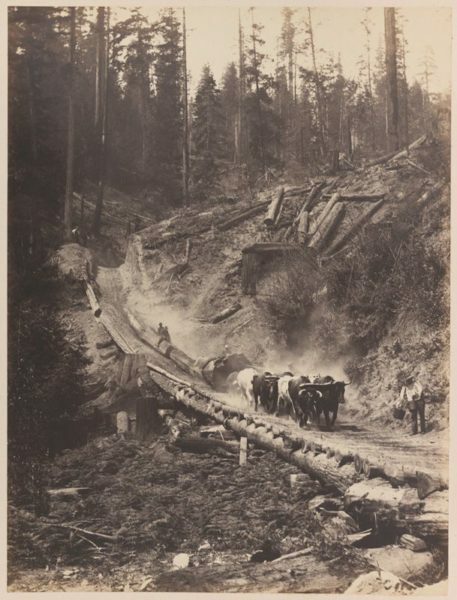 The loggers built “skid roads” over which the logs were dragged. The “skids” were made of logs laid across the path. This kept the path from becoming too muddy and made the logs slide more easily. 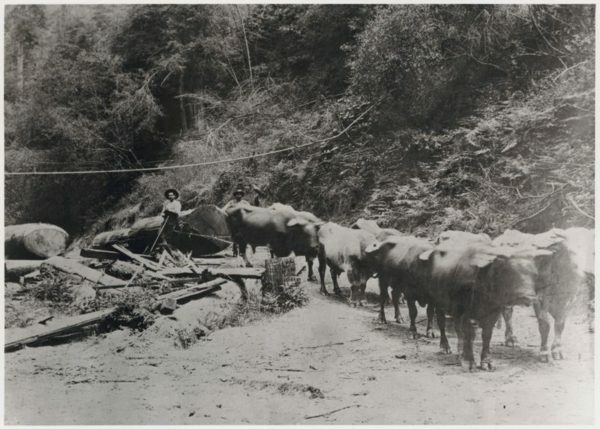 Oxen were preferred to horses as they were easier to keep. 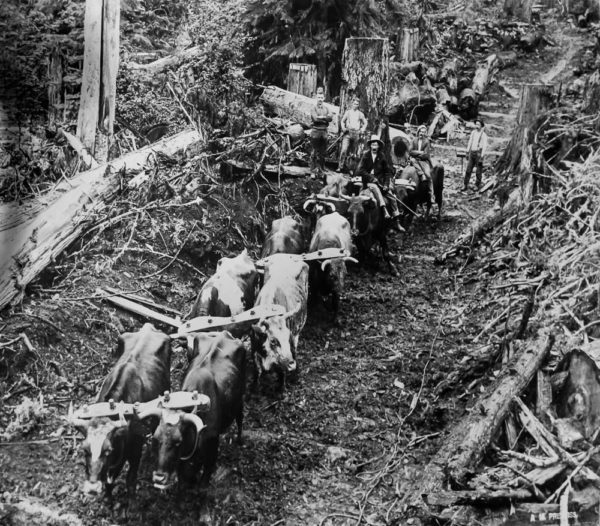 The man in charge of the ox team was the “bull puncher” and he was typically the highest paid man on the logging crew. 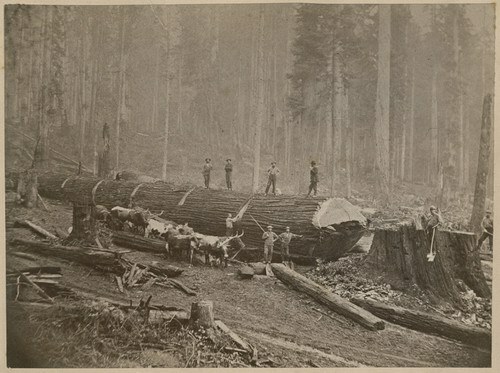 Pulling the huge logs downhill was extremely dangerous for man and beast. There weren’t a whole lot of cameras “back then” so, understansably, photos are as rare as hen’s teeth. 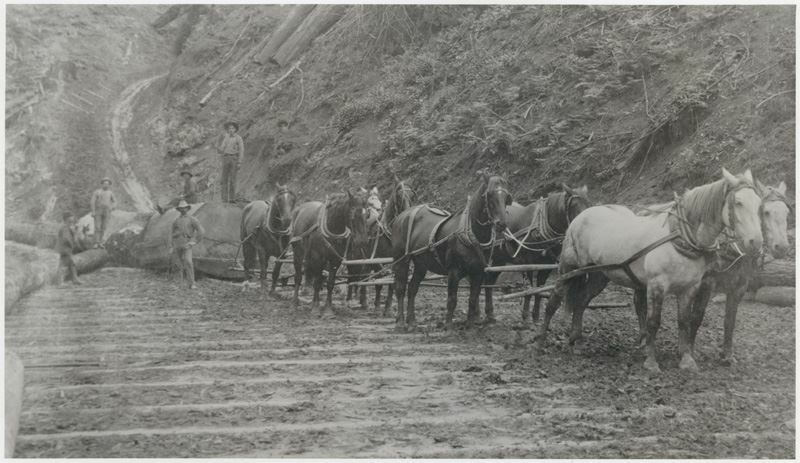 These pics are recent additions to our history of logging along the Mendocino Coast. 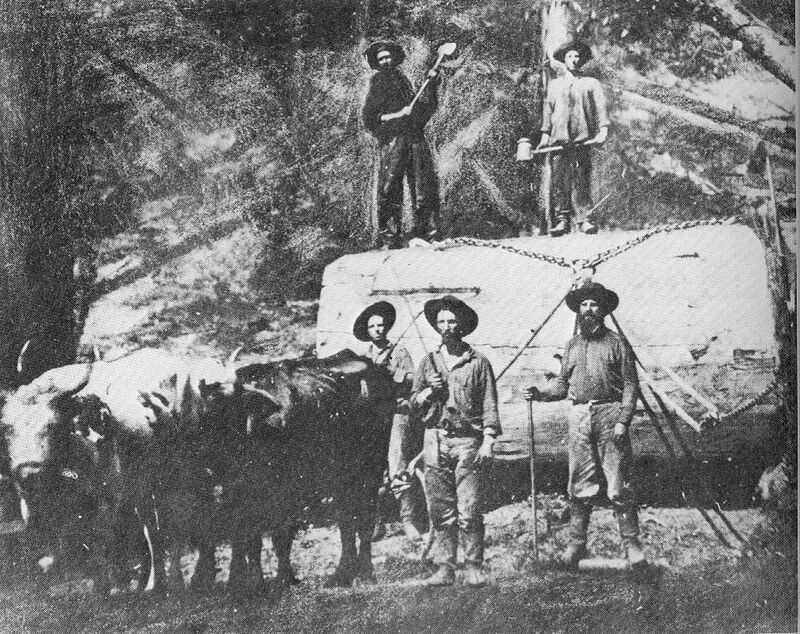 Huge log being “bucked” – cut into pieces – The bull team waists to pull it to the mill. 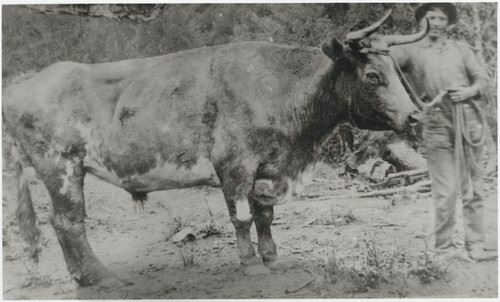 Posted in Mendocino Coast, CA , Local History, Oxen. 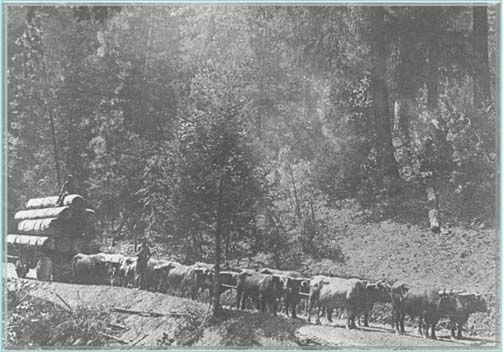 Brooktrails is the modern name for a place known as Northwestern at the beginning of the 20th century. Northwestern in its heyday was an important place. 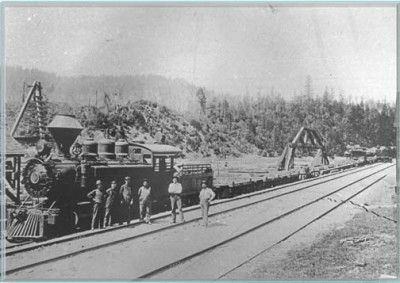 It was a designated stop on the Northwestern Pacific railroad, had a post office and the only hospital in northern Mendocino County. 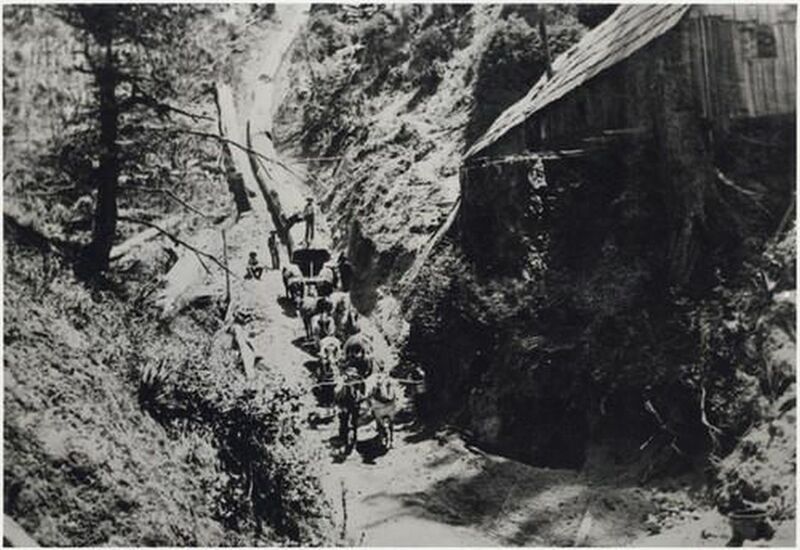 It was a sawmill town owned by a the man who owned the railroad, Arthur Foster of San Rafael. Usually known as A.W., Arthur was a financier in the San Francisco Bay area. He had a brokerage house in the city and three large ranches in the north bay region. 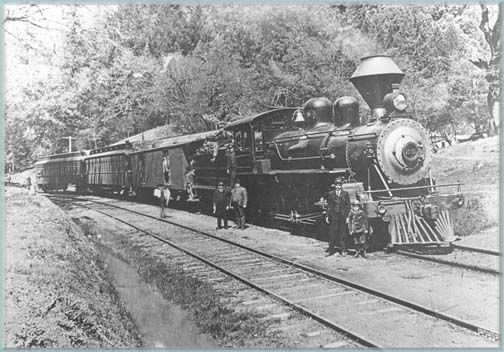 The railroad had been extended to Ukiah by 1889and the following March, its young owner, James Mervyn Donahue, died. On March 23rd, 1893 A.W. Foster, Sid Smith and Andrew Markham became owners of the railroad – then known as the San Francisco and North Pacific – by purchasing 42,000 shares of the Donahue interest placed on sale by order of Marin County Superior Court to settle the estate. Foster became the president and ran the railroad. 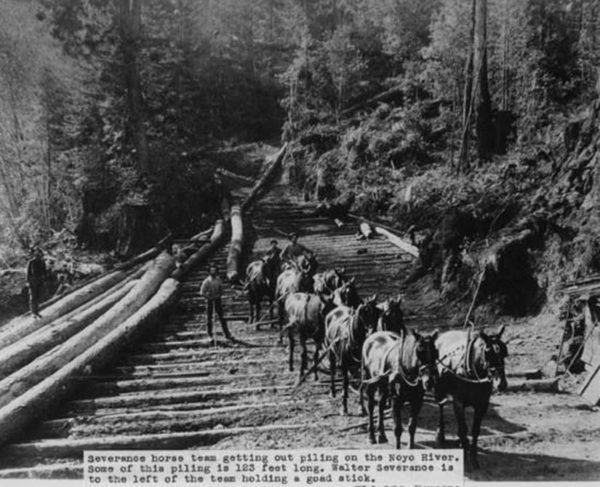 He bought out his partners and changed its name to the California Northwestern Railroad. 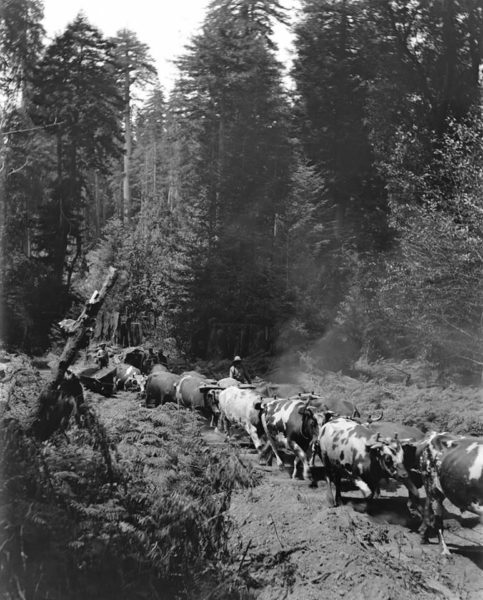 Foster extended the tracks to Willits in 1901 and on to Sherwood shortly thereafter. Sherwood was the end of the railroad for many years. 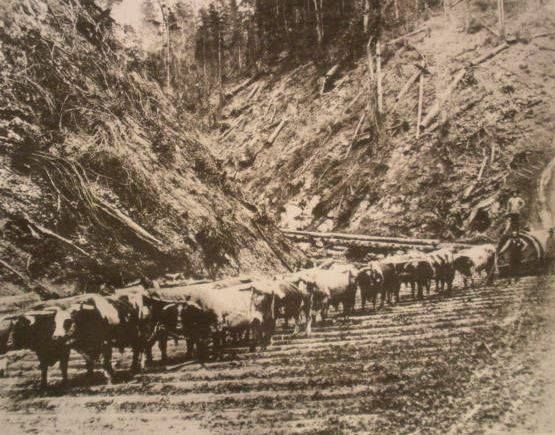 From Sherwood, passengers who wanted to go north by stagecoach and freight was moved by wagons. Foster owned thousands of acres of timberland that previously had little value because it could not be moved to market. All the big mills in Mendocino County had been built along the coast, from where lumber could be shipped to market by sailing and steam schooners. 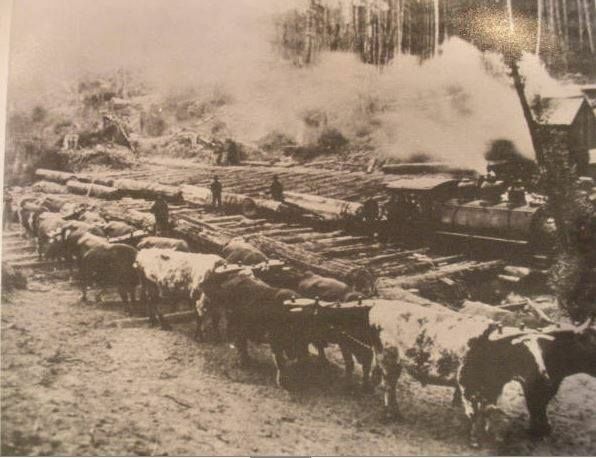 Lumber trucks, logging trucks and bulldozers were totally unknown at this time. 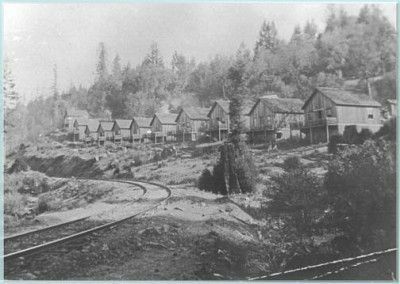 Foster’s vision of opening up the area west of Willits was a dominant factor in the growth of Willits. 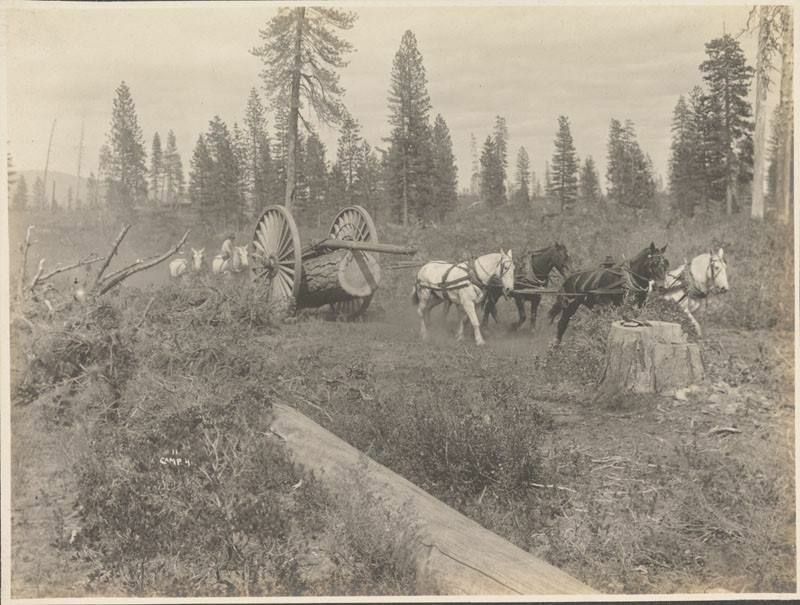 He also had other interest in the area, ranch and farm lands and Willits Mercantile Company. 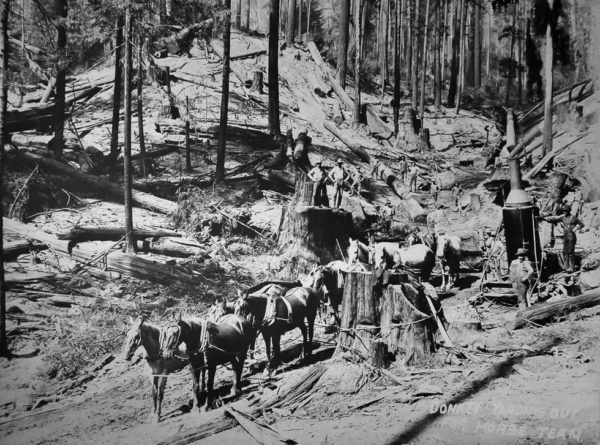 His son, William A.S. Foster was the president of the newly formed Bank of Willits. W.A.S. 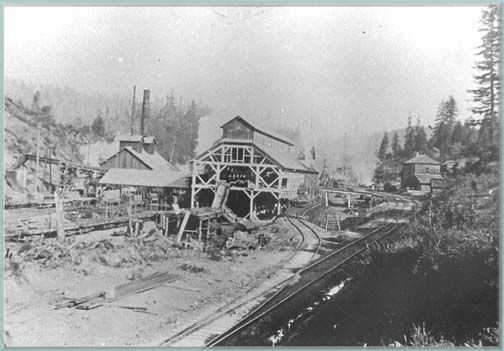 Foster was employed by his father to manage his interest in the Willits area. 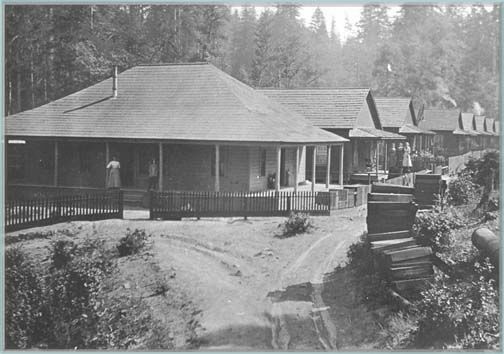 He built a large home on the site where Brooktrails Lodge is now located and maintained the residence until 1927. 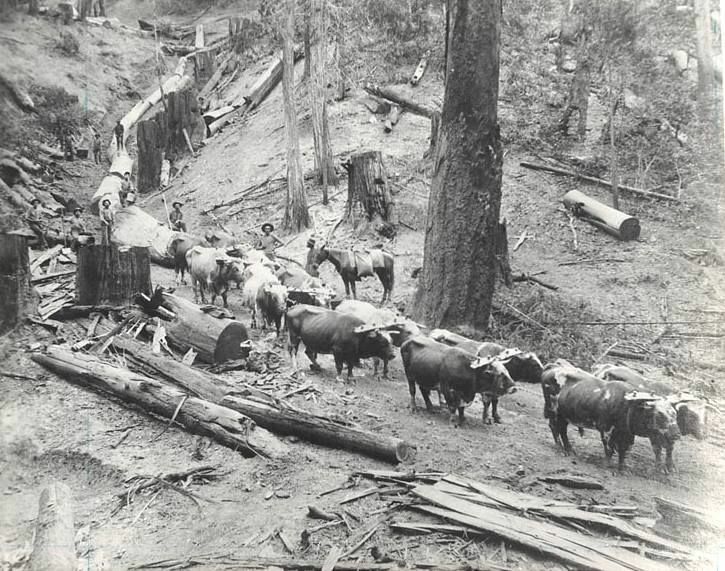 In the 1940’s it became first Brooktrails Lodge and served in that capacity until it was destroyed by fire in 1955. 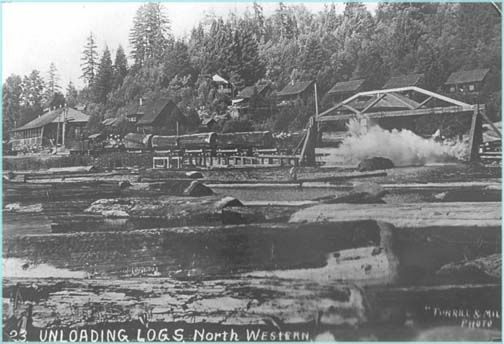 The sawmill was built in 1901 and was located about 200 yards towards Willits from what is now the Lodge at the bottom of the hill. 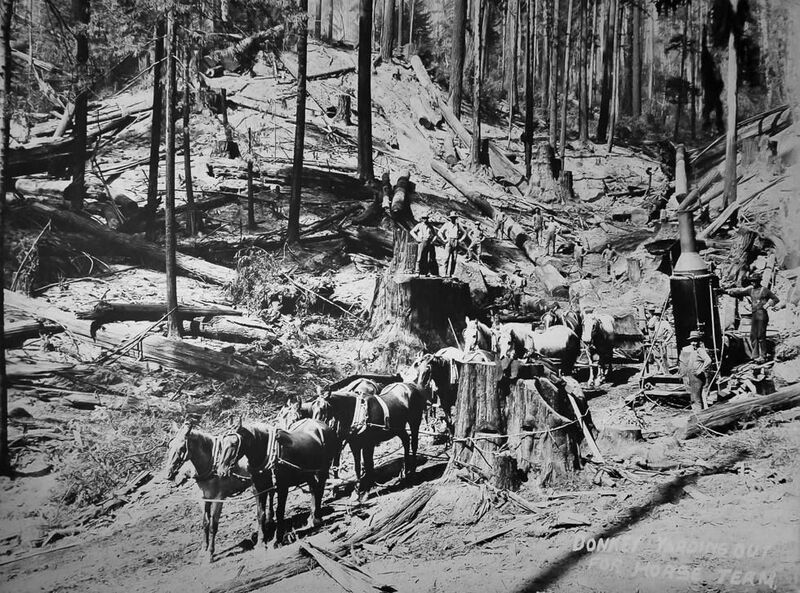 The mill was known as the Northwestern Redwood Company and by the nickname Diamond D Mill. The nickname was derived from the mill’s insignia, a large “D” enclosed in a diamond shape, which was stamped on tools and other equipment. 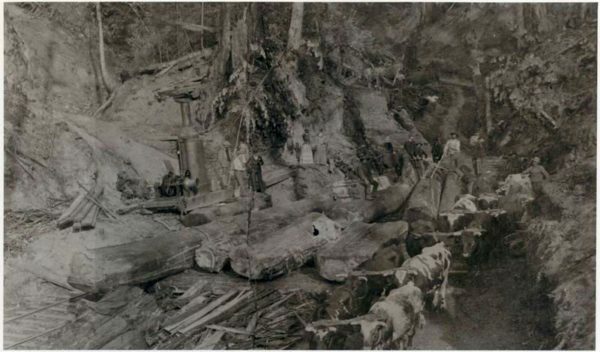 In the mid-twenties, the company having cut nearby timber for more than a quarter of a century, was faced with increased logging costs. 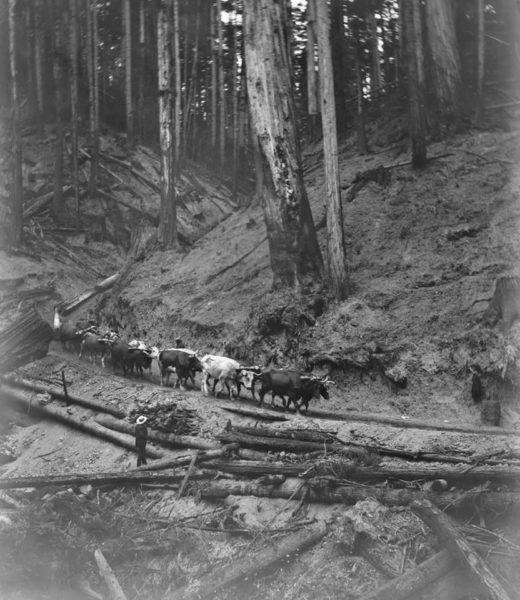 It was necessary to go further and further past Sherwood to the headwaters of the Ten Mile River to obtain logs. The increased costs forced the closure of the mill in 1926 and it never re-opened. Duane and Lloyd Bittenbinder purchased the mill and dismantled it, selling the machinery to mills in northern California and Oregon. 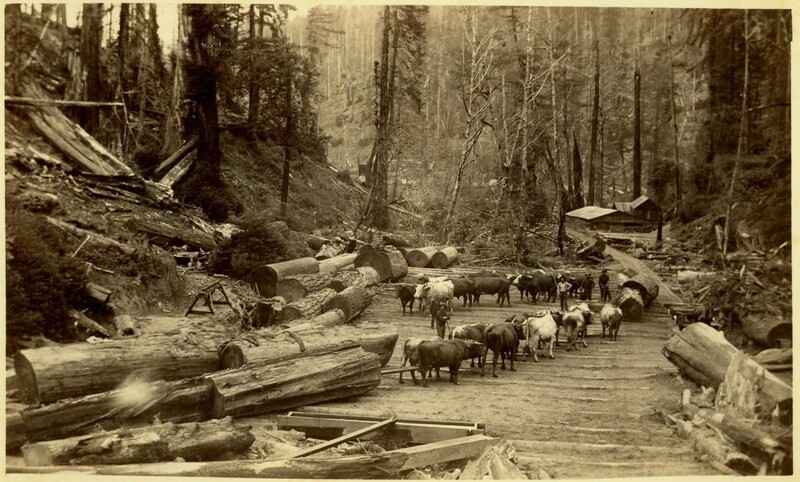 The land was sold and almost all of the houses and loggers cabins were removed. 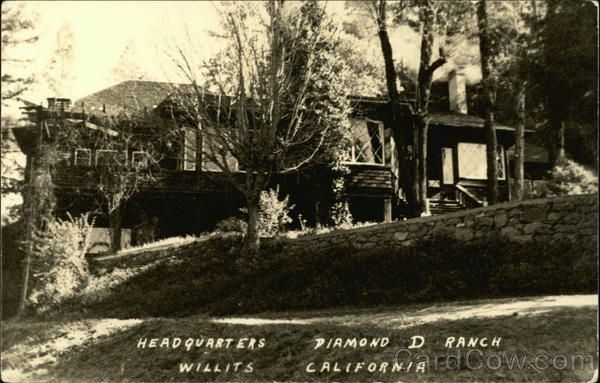 In the 1930’s, it became a dude ranch known as the Diamond D. In the early 1940’s it was purchased by Eddie and Marie Anderson. The Anderson’s turned W.A.S. Foster’s home into the Lodge. The Andersons produced superb meals and the reputation of Brooktrails Lodge spread throughout northern California. The building burned in 1955 and the Anderson’s built the present Lodge on the same spot. Club member Mike Aplet lives in Brooktrails. 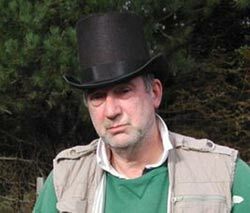 My thanks to him for providing the pictures and history you have just read. 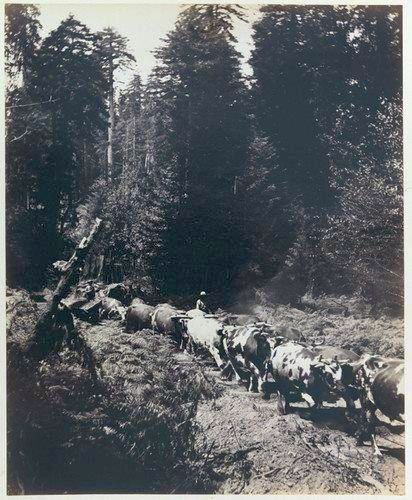 Posted in Mendocino Coast, CA , Local History, Oxen, Towns.